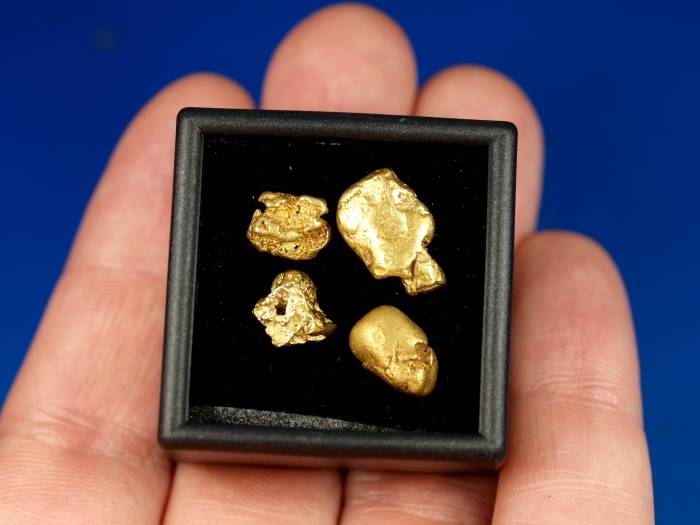 Here are 4 natural gold nugget from Humboldt County, Nevada. Two are rougher texture and two are smoother texture. 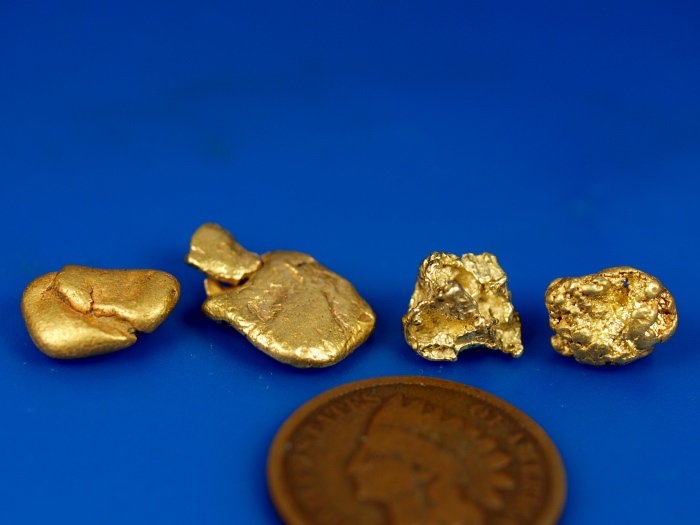 These were found by a prospector using a metal detector. Their combined weight is 8.55 grams.